If you’re struggling with depression, transcranial magnetic stimulation (TMS) therapy can provide a noninvasive solution without the use of medication. Satyen Madkaiker, MD, FAPA, in Jacksonville, Florida, is a board-certified psychiatrist with more than 20 years of experience treating mental health disorders like depression. To learn more about innovative and painless depression therapies like TMS, call Dr. Madkaiker or schedule an appointment online today. Our team is a leader in the management of treatment-resistant depression. Dr. Madkaiker has decades of experience in managing severely ill psychiatry patients with a variety of diagnoses.including depression, anxiety, OCD, PTSD, and other treatment-resistant psychiatric conditions. Dr. Madkaiker is always available for his patient during their treatment. We check motor thresholds, check coil placements, optimize treatments, change/add protocols to maximize benefits to our patients. Older machines tend to be difficult to maneuver and clunky and may make accurate placement of the coils difficult. We use the latest FDA cleared machine to provide maximum benefit to our patients. Accurate coil placement is absolutely necessary for the best TMS results. We use computer-assisted technology that is more accurate at locating the activating areas of the brain that are involved in depression. We use proprietary methods for accurate coil placement. We hope to provide complete neuronavigation within the next one year. We use Theta burst technology and the current FDA approved activation procedures for your benefit. Additionally, we use other protocols for treatment-resistant depression, posttraumatic stress disorder, and anxiety to maximize TMS treatment benefits. We get referrals from other psychiatrists and providers and we make sure to find the best post-TMS treatment options with your provider. Transcranial magnetic stimulation is an FDA-approved, noninvasive treatment for depression that stimulates the brain’s nerve cells. This therapy targets areas of the brain directly associated with mood control and depression that are believed to be less active in people with depression. TMS is a painless procedure that doesn’t use any medication. To deliver short pulses of magnetic fields to your brain, Dr. Madkaiker places an electromagnetic coil near your forehead against your scalp. During your treatment, the repetitive magnetic pulse painlessly stimulates your nerve cells. Transcranial magnetic stimulation shouldn’t be confused with electroconvulsive therapy (ECT), often referred to as shock therapy. While ECT is also a highly successful treatment for depression, it requires sedation and can cause short-term confusion and memory loss. What can I expect during TMS therapy? To confirm that you’re a good candidate for TMS therapy, Dr. Madkaiker might perform labs and a physical exam. He also performs a psychiatric evaluation and discusses your history of depression and symptoms. During your treatment, you sit in a chair while watching television or listening to the radio. TMS therapy is painless, so anesthesia isn’t necessary. While the magnetic pulse is active, you might hear clicking sounds and feel a tapping sensation on your forehead. TMS treatments take 20 minutes and there’s no downtime, so you can resume normal activities following your procedure, including driving. 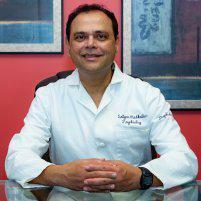 For best results, Dr. Madkaiker recommends TMS therapy five days a week for up to 4-6 weeks. Following your treatment, you might experience discomfort where the electromagnetic coil was placed against your skin. This typically resolves within a week. 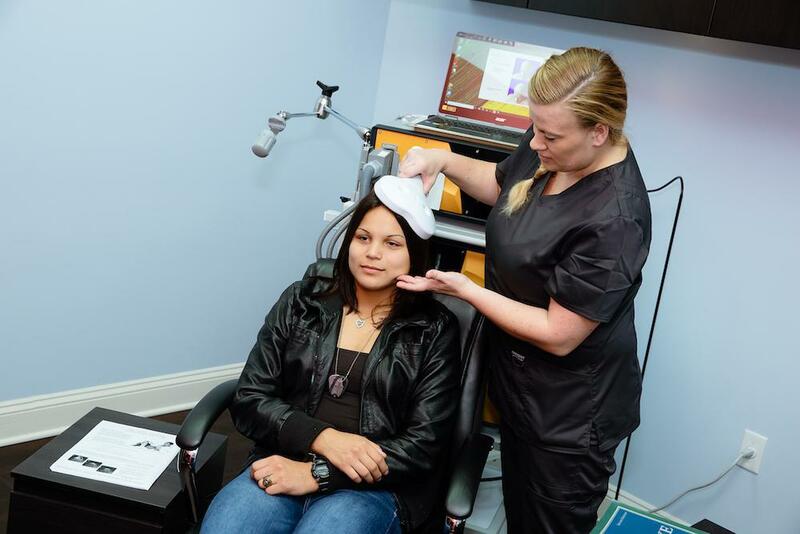 How long does it take to see results from TMS therapy? If TMS therapy is an effective treatment for your depression, you can expect to see relief from your symptoms within a few weeks. Depending on your response, Dr. Madkaiker might recommend additional sessions in the future to help maintain the results. To read more about TMS Therapy, click here to access our brochure. For alternative treatment options like TMS therapy to manage your depression, call Satyen Madkaiker, MD, FAPA, or schedule an appointment online today.